UNITED NATIONS (WUP)---In a complete about-turn in almost anything discussed at the UN relating to Israel and the Palestinians, where Israelis are always the bad guys brutalizing the poor Palestinian people, now Hamas are the bad guys , killing and injuring fellow Palestinians. 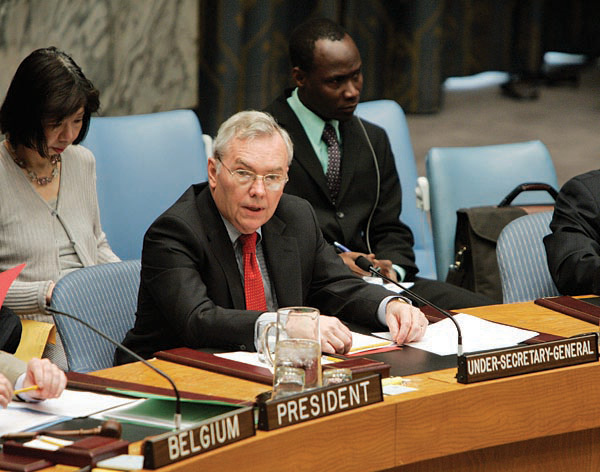 The monthly briefings to the Security Council on the situation in the Middle East presented by the UN Under Secretary-General for Political Affairs have mostly focused on statistics of how many Palestinians have been killed and wounded by the Israeli Army. The situation has been portrayed as the Israeli Occupying Power causing much suffering to the poor Palestinians people. Now, Hamas are making their fellow Palestinians suffer. This is the first time that this or any UN report focused mostly on Palestinians brutalizing each other. B. Lynn Pascoe described to the Security Council how the recent major increase in internal Palestinian violence had killed 43 Palestinians and wounded 366 others, and that the recent dramatic surge in violence between rival Hamas and Fatah clans threatened to undercut prospects for Palestinian reunification. This will of course seriously interfere with the continuing "peace talks" and negotiations as part of the Annapolis process between Israeli Prime-Minister Olmert and Palestinian President Abbas, since a large percentage of the Palestinians are very busy killing each other, and not considering a two-state solution and Palestinian statehood. This rise in the inter-Palestinian violence had stemmed from an incident in late July in which five Hamas members and a child had been killed in a beachside bombing in Gaza. Hamas had claimed that the Fatah-affiliated Hillis clan were sheltering the perpetrators and had attacked that clan's stronghold in eastern Gaza City, the last bastion of Fatah's military presence in Gaza. The ensuing violence had left 10 members of the Hillis family dead, and dozens of the clan's members had fled through Israel to the West Bank, he said. Hamas had detained remaining members of the family along with dozens of Fatah and other activists, and there had been allegations of torture committed by Hamas against detainees. Pascoe went on to describe how Hamas had initiated a "well orchestrated campaign" for total control of the Gaza strip, following the bombing. Hamas forces had raided more than 200 community-based organizations, leading to among other things, a disruption of activities involving thousands of beneficiaries; 23 of the institutions had been supported by the United Nations. This type of situation is usually blamed on the Israeli road blocks put up in response to constant rocket attacks into Sderot and surrounding areas in Israel. He said that they then seized control of the last remaining Palestinian Authority institutions in the Gaza Strip, the Governorates, which Hamas had previously recognized as legitimate and which had continued to report to President Abbas. Three Governors had been detained by Hamas forces and two were still in custody. Those actions had severely prejudiced the prospects for Palestinian reunification within the framework of the legitimate Palestinian Authority. "We are also concerned about the consequences for UN operations in Gaza," Pascoe added. Reacting to Hamas' action in Gaza, Palestinian Security Forces in the West Bank had then arrested dozens of Hamas activists, and closed a number of Hamas-linked institutions in the West Bank. Pascoe went on to report that, while the Egyptian-mediated ceasefire between Israel and Hamas that had begun on 19 June was largely holding, it was nevertheless fragile. Ten rockets and one mortar had been fired from Gaza into Israel, without causing casualties. During this period, no Israeli Defense Forces air strikes or incursions had been reported, though one Palestinian child had been injured by Israeli Defense Forces shooting near the border. Twelve other Palestinians had been killed, however during a tunnel collapse along the Gaza-Egypt border. More than 25 such tunnels had been closed as part of Egypt's efforts to curb smuggling. But, Israel was not completely let off the hook. The report listed settlement activity which had continued across the West Bank, and particularly in East Jerusalem, and on 24 July, permission had been given for 20 permanent housing units at Maskiyot in the West Bank. According to International agreements, Israel settlement activity was supposed to have stopped. 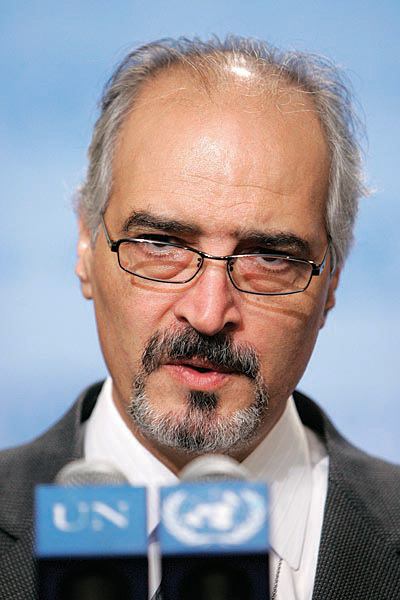 At the stake-out after the meeting, Ambassador Ja'afari of Syria told the press he was "very satisfied with the report because Israel had been criticized about the continued building of settlements which is a great impediment to peace." No comment about the behavior of his "Palestinian brothers".